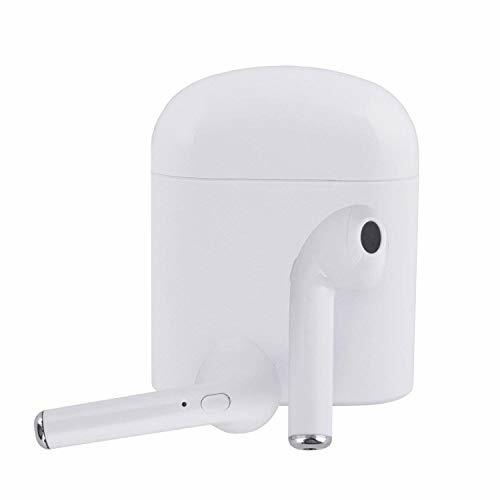 【BLUETOOTH V4.2 UNIVERSAL COMPATIBILITY& SERVICE】 With Bluetooth 4.2 technology, it can provides more stable connection signal transmission. 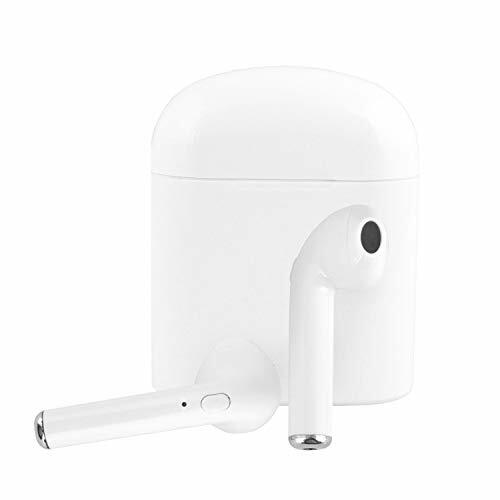 The wireless earbuds work with all smartphones, tablets and bluetooth enabled devices.Pairing up just take a few seconds..Any question, please contact with seller, we'll try our best to resolve it as soon as possible. 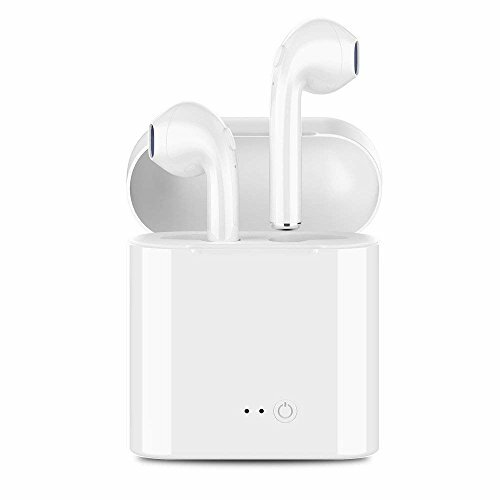 【NOISE CANCELLING & CLEAR SOUND】WIth CVC 6.0 Noise Cancelling function ， my bluetooth earbuds can pairing with a mic to reduce vocal interference and enjoy clear and easy communication .These wireless earphone deliver natural and authentic sound performance with focus on getting a clear voice. 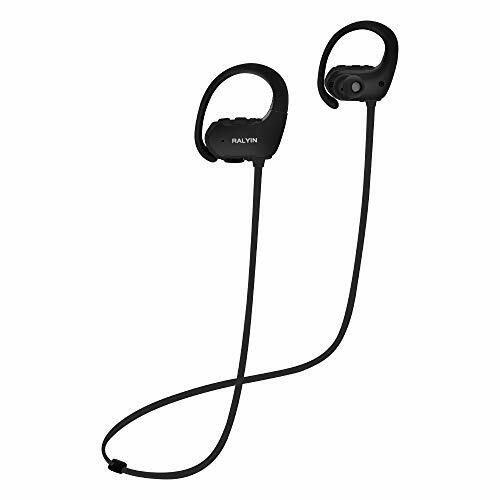 【COMFORTABLE FIT AND LIGHTWEIGHT】Sports headphones feature an ergonomic design with fit your ears, soft smooth surface have comfortable wearing won't falling off. 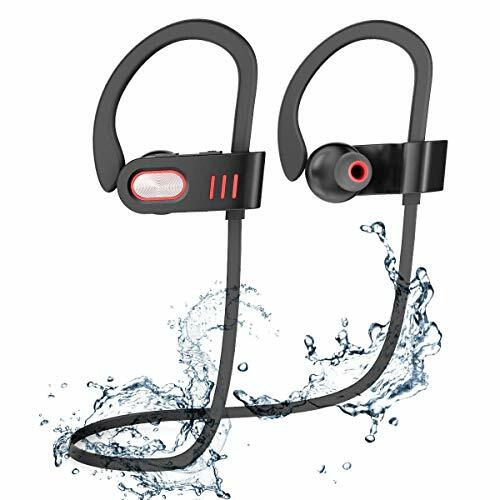 The surprisingly ultra light design at only 0.14 ounces net weight barely makes you feel anything during workout. 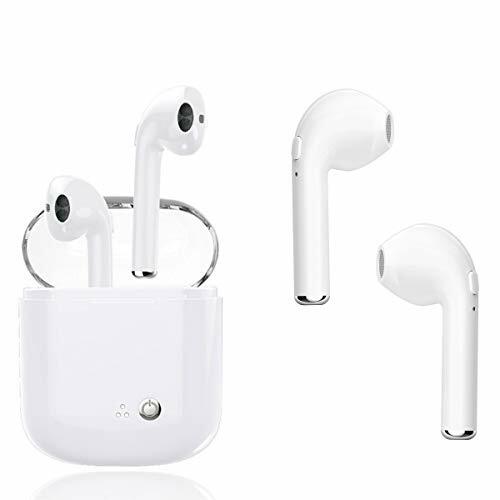 【STEREO AND MONO MODE& Safe Driving】Each earbud can work individually or in pair, wear one or both earbuds depending your own needs It can connect with 2 different devices simultaneously, and would connect automatically with a phone paired previously(33 feet). 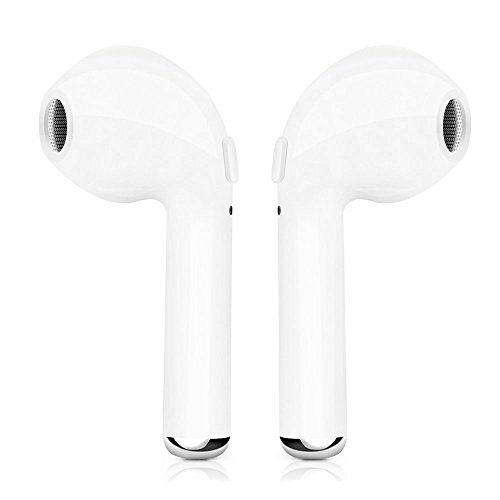 For the sake of your safety when you are driving, all TWS earphones allow only one earbud has calling function. 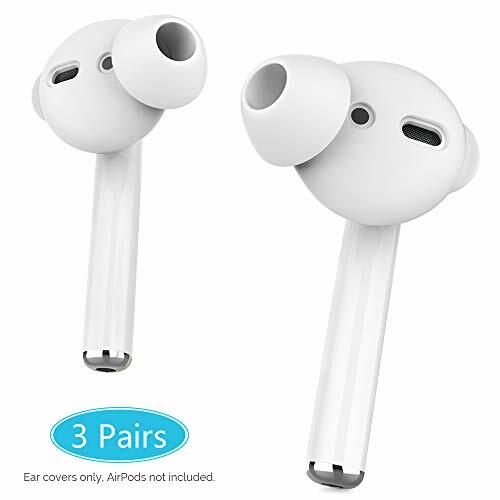 for the original version, it is the right earbud. 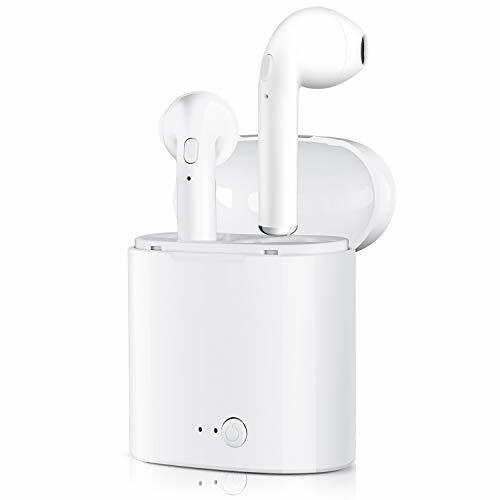 【LONG PLAYING TIME】 Enjoyment of music for up to 2.5 hours on a single charge and 72 hours of stand-by, only take 1.5 hours to fully charged, battery status displayed on IOS device.The charger box is enough for 5 times of recharging your earphones. ◆Warning and caution: Dear customers, please firmly identify '(Rajiaxin)' before purchase. 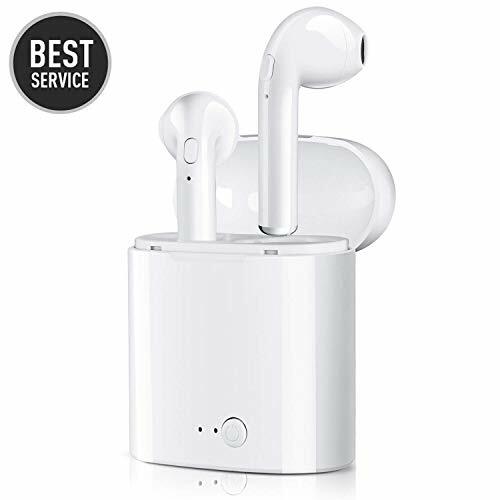 If you are not 100% satisfied, you can enjoy our one-year warranty and 30-day return guarantee, otherwise you won't get anything because of buying products from other stores without any quality assurance. To choose '(Rajiaxin)' is to choose guarantee. ◆Easy to use: Controlling various functions, such as answer/reject/play/pause, by a single button. 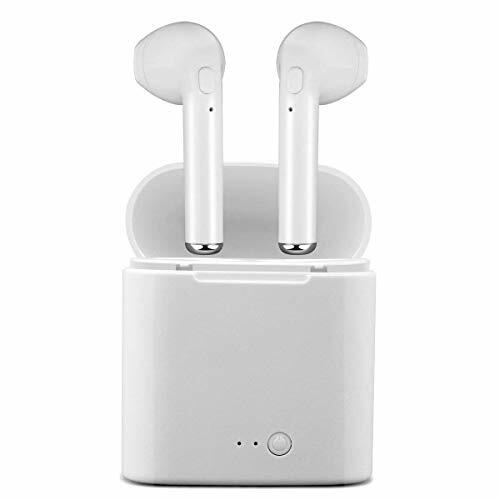 It can connect with all Bluetooth devices (for example, iPhone X / 8/8 PLUS / 7/7 PLUS / 6/6sp, Samsung, Moto, HTC, Huawei and other smart phones as well as tablets and laptops). 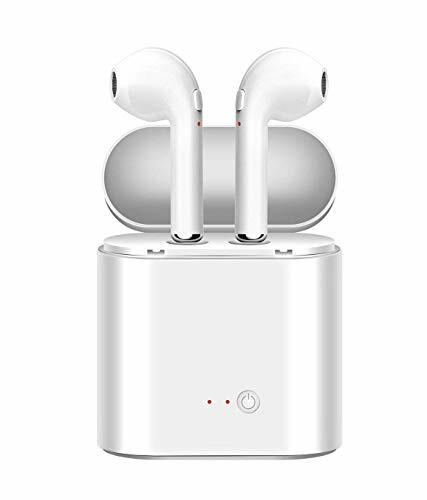 ◆Earbuds made by (Rajiaxin) use the most advanced Bluetooth technology to achieve hi-fi sound quality : The headset is equipped with an independent round sound cavity and MEMS technology. 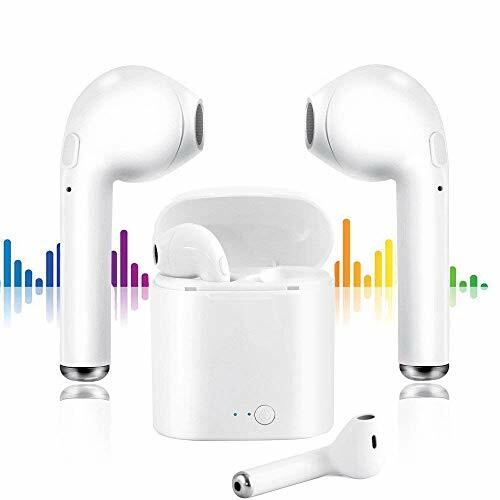 Combining with the most advanced Bluetooth technology and the design accord with the shape of human ears, it can achieve the perfect sound quality with stable signal, low noise, and soft and comfortable wearing experience. 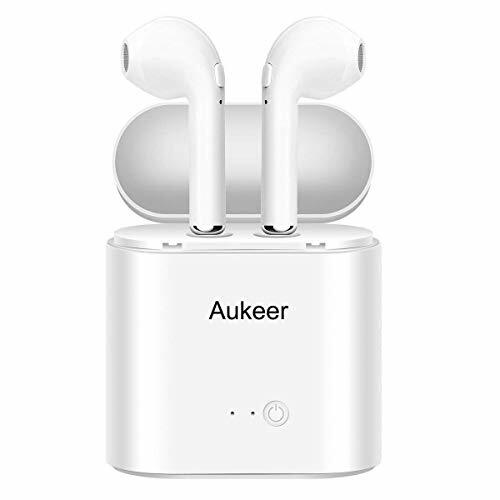 Let you calm down to appreciate the pure music, and just like being at the concert. 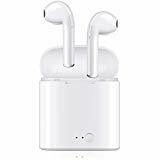 ◆The wireless earbuds frees your hands and allowing you to work more attentively, drive safer and move more freely by getting rid of the cable interference. 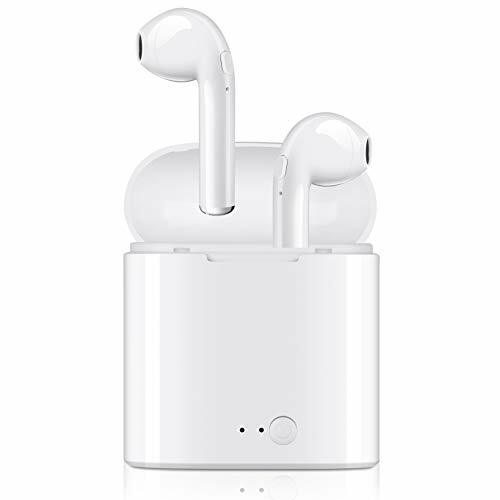 Fast pairing and stable connectivity make Bluetooth can be connected up to 33 feet (10 meters). 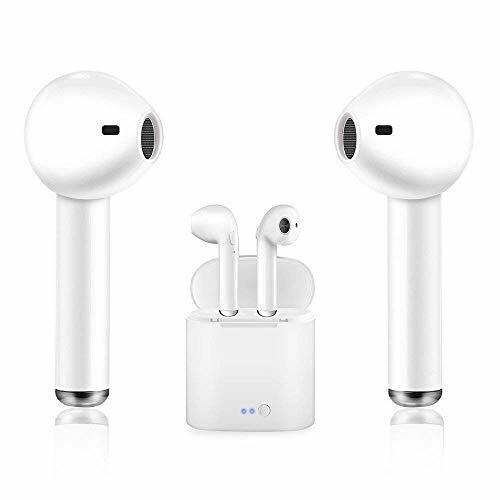 The earphones made of (Rajiaxin) are made of high-quality anti-sweat material, so that the in-ear Bluetooth earphones can fully function even when sweating. 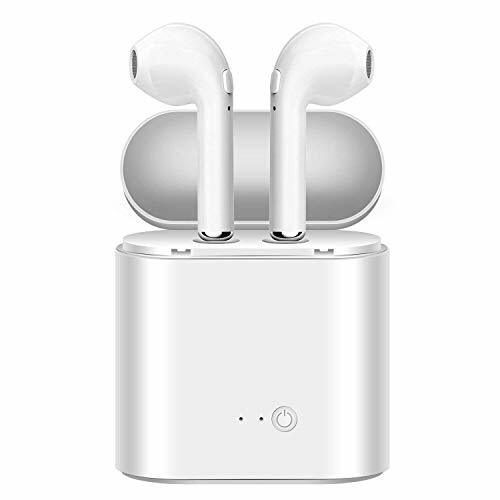 Powerful battery to increase standby time up to 100 hours. 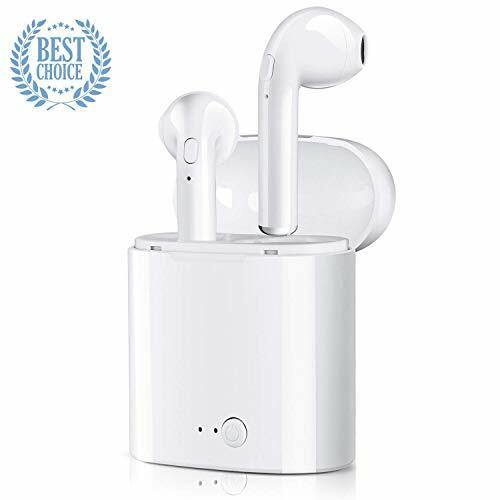 EASY TO PAIR & WIDE COMPATIBILITY: Simply one press to answer or reject phone calls, Bluetooth pairing, power on and power off, pretty easy to use. 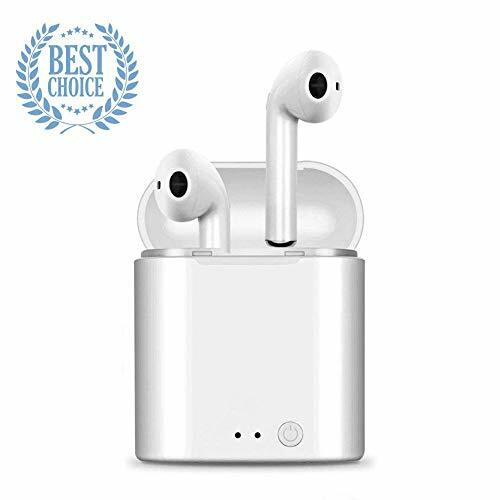 Compatible with iPhone X 8 7 6S 6 plus, LG G5 G4 G3, iPod shuffle, iPod Nano 7, Samsung Galaxy S7 S6, Huawei, BlackBerry, HTC, iPad Pro, Bluetooth-enabled tablets etc. 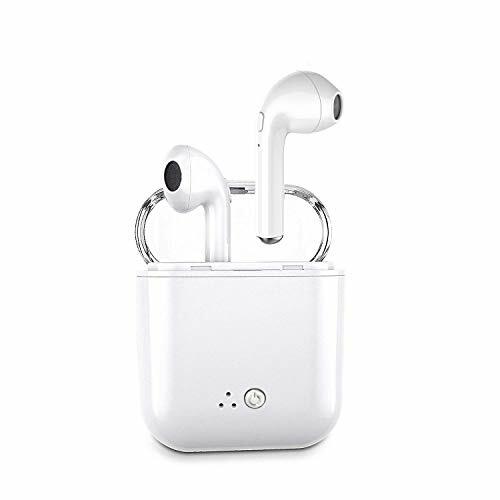 TTwake Bluetooth Earbuds, Bluetooth 4.2 Wireless Headphones Headsets Stereo in-Ear Earpieces Earphones with Noise. 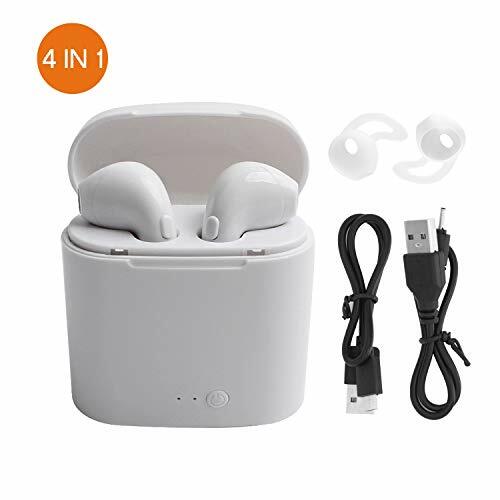 ✌True HD HIFI Sound: Mini Bluetooth earphones deliver Hi-fi stereo crystal clear sound, great noise canceling effect, let you enjoy your favorite music anywhere at anytime.It can support 3-5 times fully charging for the wireless earbuds and let you enjoy more than 2-3 hours continuous music or talking time and takes 2 hours to fully charged. 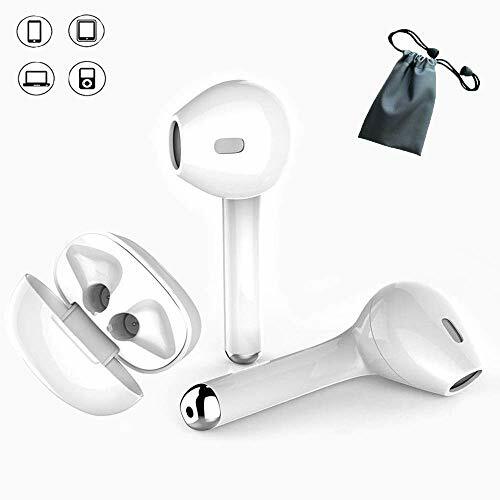 ✌Bluetooth V4.2 & Universal Compatibility &Warranty: Advanced Bluetooth 4.2 technology allows easy and quick paring with your smartphones, tablets and other Bluetooth enabled devices etc, pairing up just take a few seconds.Any question, please contact seller, we'll try our best to resolve it as soon as possible. 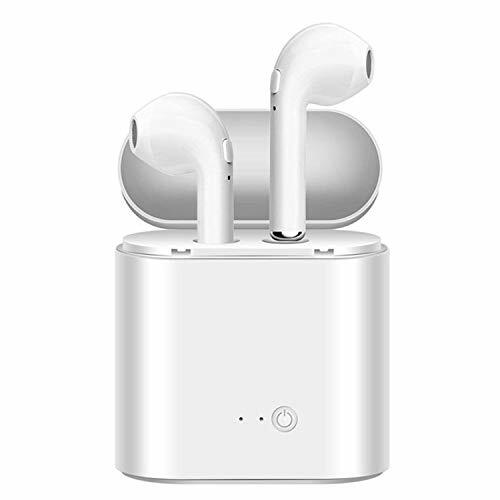 ✌Strong Signal Fantastic Sound Quality: You can connect them with multiple Bluetooth devices in the range of 10m(about 33feet).Eliminate stethoscope effect of all wired headphones and noise reducing.It contain TWO pieces which can be used separately with someone sharing music or broadcast (within reasonable distance), or you can enjoy the stereo sound by using them both or alone. 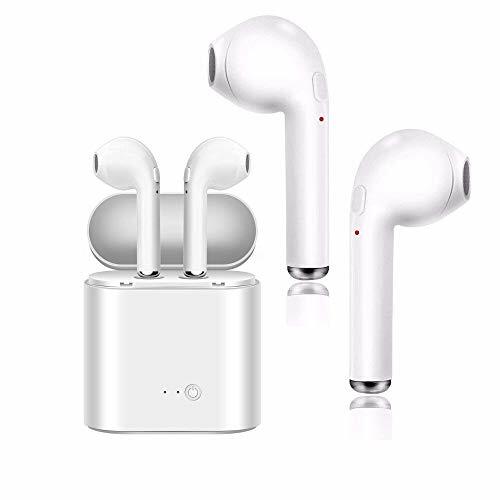 ✌Comfortable Wearing Wireless Earphones: Made of ergonomic design, Bluetooth earbuds stay comfortably firm in place to guarantee fatigue free ears comfort, providing long time comfortable wearing.Multifunctional button to control power on/off, answer/hang up call, play/pause music etc. 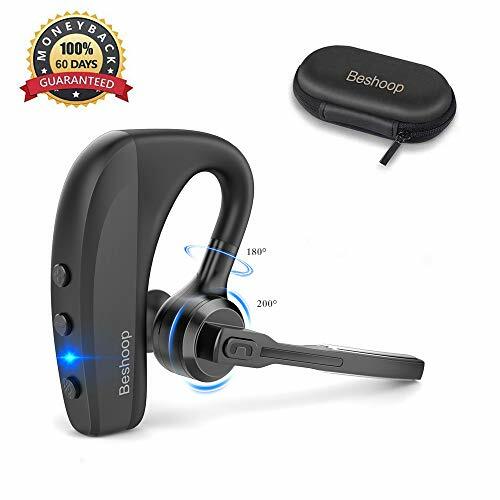 Giving you hand-free voice experience.Anti-sweating material keeps the headphones fully function even when dripping with sweat;offers sweat-resistant protection while exercising with them in your ears. 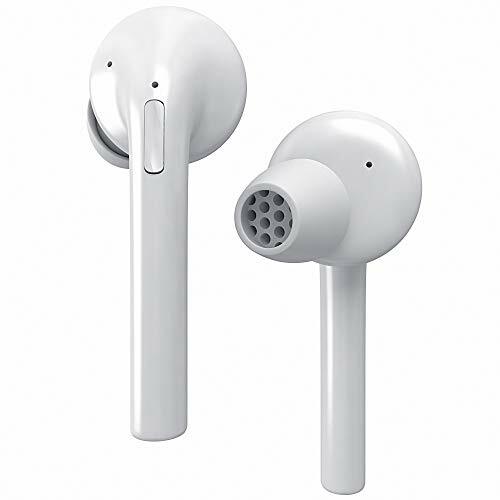 ✌Paring To Your Device: Long press the multifunctional button of two earphones at the same time until the led flash in blue and red alternately, then double press one of them will have a voice prompt that it is ready to pair, please turn on the "Bluetooth"on your cellphone and choose "tws"
【Comfortable headphones】: An ergonomically designed process, Bluetooth earbuds are perfect for your ears and provide long-term comfort. 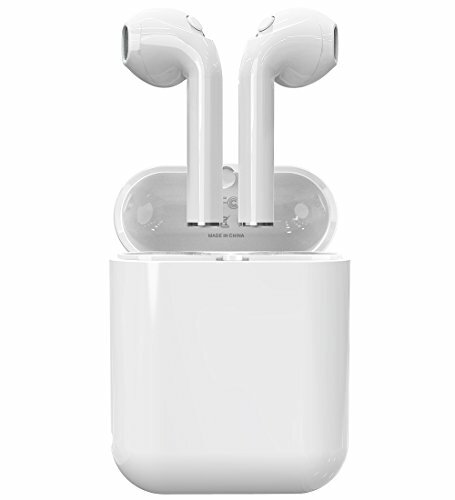 They have multi-function buttons that control power on/off, answer/end calls, play/pause music/video, and more. 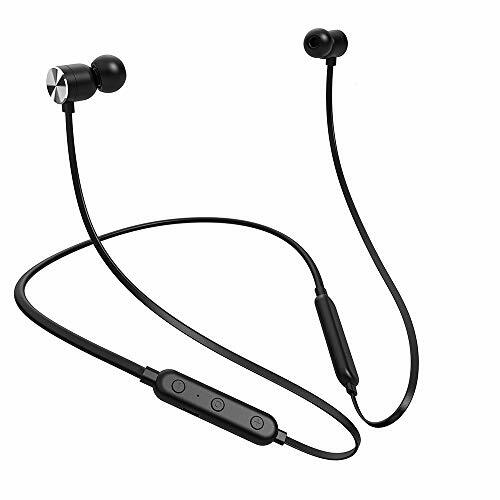 Provide you with the ultimate voice experience for hands-free. 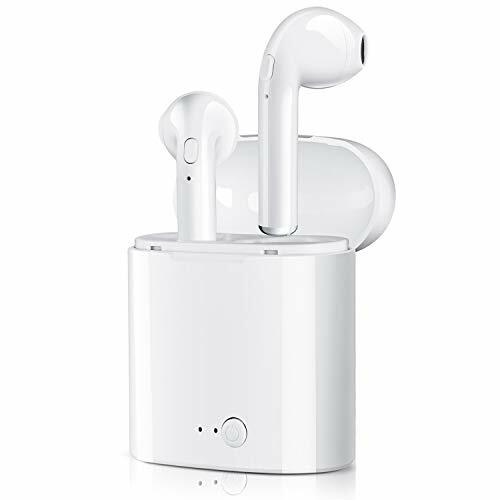 【Up-to-date Technology】: Splenor Wireless Headphones Provides faster pairing, HD sound, stable connection, perfect signal transmission and noise cancelling feature due to the latest Bluetooth V4.2 technology. 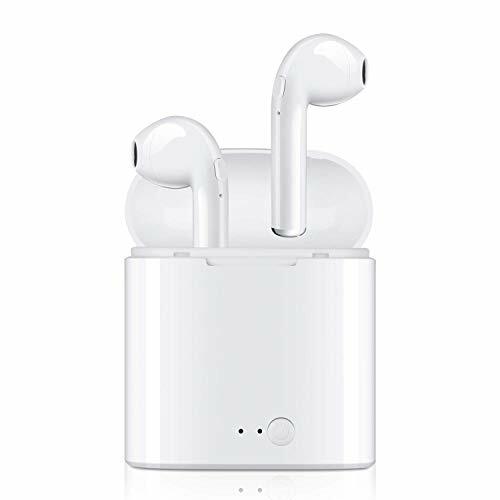 【LARGE CAPACITY Li-BATTERY】: Splenor Lightweight Wireless Bluetooth Headphones have rechargeable polymer lithium battery which provides 2-3 hours play music / talk time and about 8 hours of standby time which allow users to have more hours of continuous music or phone call. 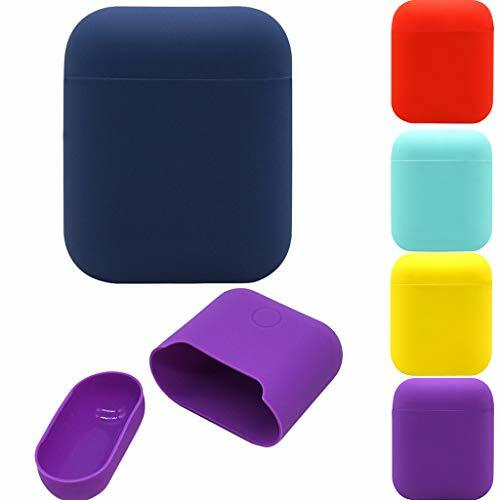 【INTELLIGENT COMPATIBILITY】: Support all the devices with Bluetooth function like smart phones, tablets, laptop. 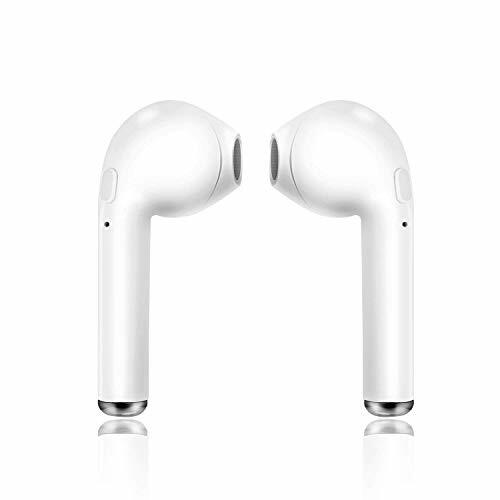 In compatible with all kinds of APP, player, television, chatting and so on. 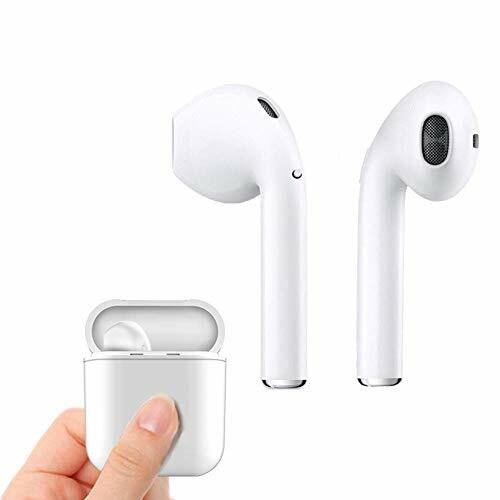 【EASY TO USE】: Various functions of Bluetooth Earphones are controlled by a single button, such as answering or rejecting calls/startup and shutdown.Small and exquisite, and easy to carry. 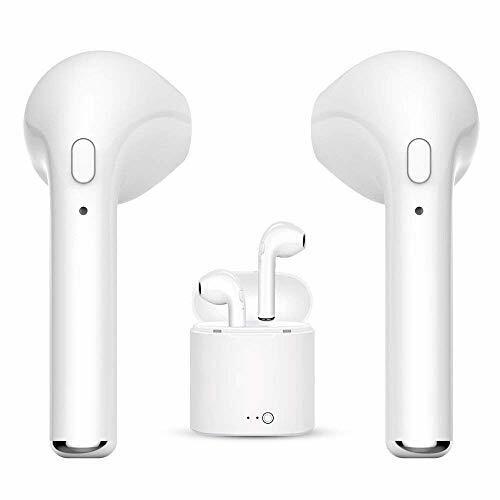 【UNIVERSAL USAGE】: Splenor Earbuds work with all Bluetooth enabled mobile devices including phones and perfectly suitable for running, cycling, training, jogging, hiking and other indoor and outdoor sports.We Only Guarantee 6 months warranty period (Free replacement or Refund). Please feel free to contact us for any questions. 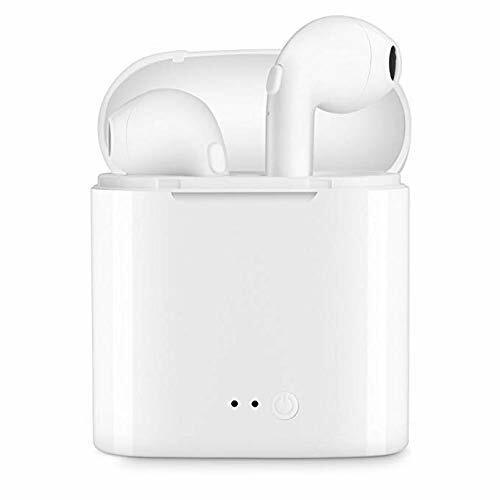 【POWERFUL AIRPODS PROTECTOR】Made out of super strength silicone rubber, Coffea Airpod case cover protects your Apple headphones from dirt, dust & other pesky particles when stored in a standard Airpods docking station box. 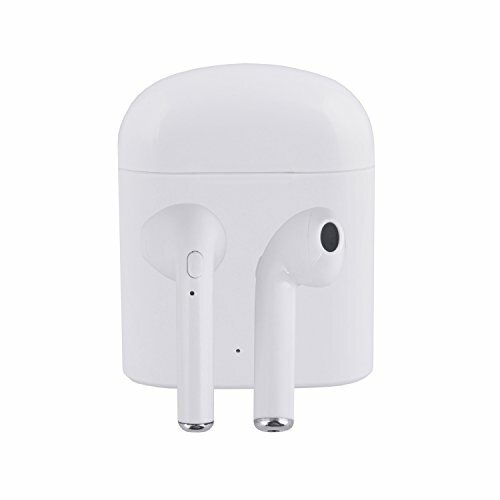 【ANTI-SHOCK, ANTI-SLIP GRIPPER】 The heavy duty, 3mm extra thick silicone effectively absorbs shock when dropped, therefore protecting your Airpods from impact. 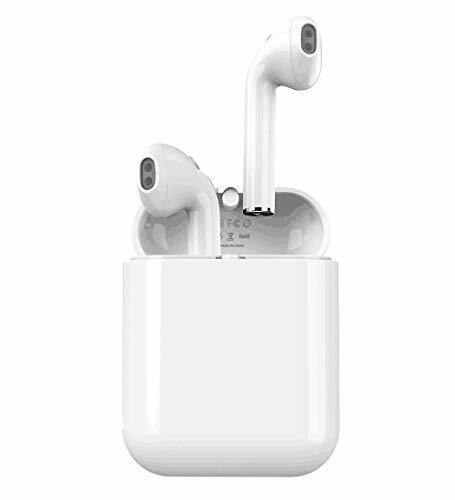 Each case comes with a slip-proof grip for safely grab the Airpods holder. 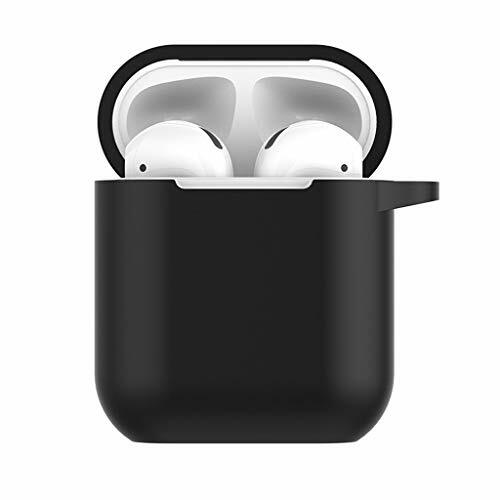 【PRECISION FIT CRAFTSMANSHIP】 We've designed this silicone charging case cover to a precise fit without the bulkiness, therefore maintaining the portability, functionality & fashionable appearance of your Airpods charging dock. 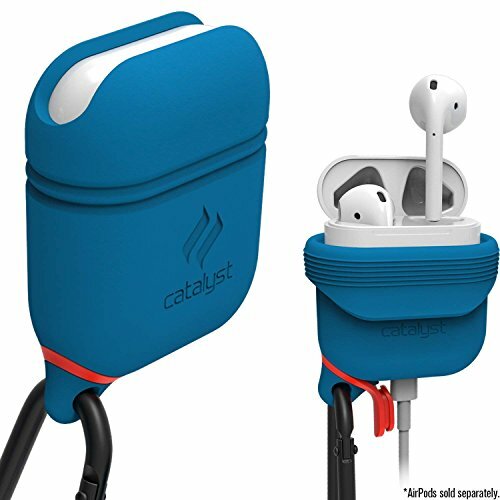 【DURABLE CARABINER WITH LOCK】 Each Airpods case is equipped with a metal carabiner clip, letting you convert your Airpods holder into an Airpods keychain case! 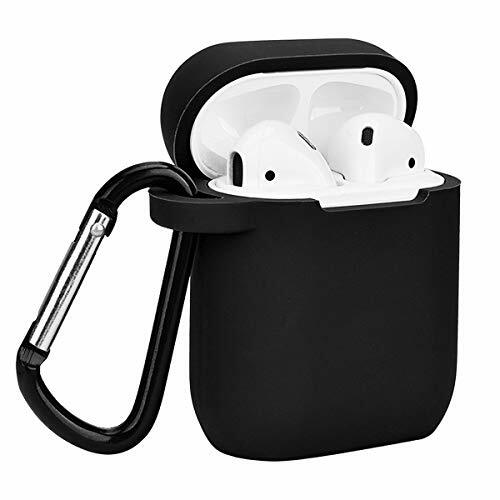 convenient to attach the Airpod pouch to a handbag or backpack.